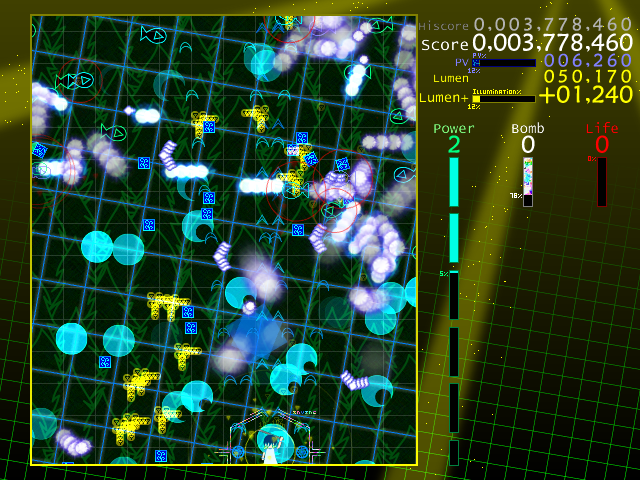 Incomprehensible Luminescence is Chromatiqa’s flagship game! Set in the majestic world of Chromanea, I.L. takes you on a journey through the Cerulean Cloud zone, as Indris, Vel, and Maer take on a “side quest” to stop the mysterious light in the night. 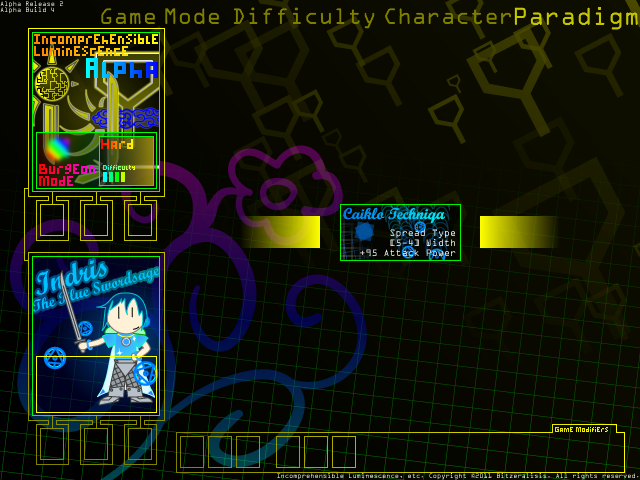 In this danmaku game inspired by ZUN’s Touhou series and game developer Tetsuya Mizuguchi’s game Rez, play as one of three characters, through over six stages in four different difficulties. I.L. features many unlockable game modes and various features, such as character observations and score reports. Copyright © 2010 – 2012 Chromatiqa. All rights reserved. I have read and agreed to the terms and conditions above; download!